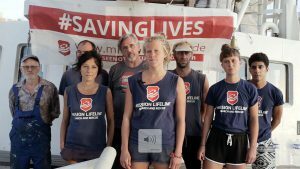 Show the color of the life jackets everywhere as a sign of boundless solidarity with refugees and the sea rescue organizations. Wear an orange cloth, a t-shirt, a warning vest, show flags, signs, etc. Currently, the city of Bochum takes responsibility for 1.000 refugees less than the state key for North Rhine-Westphalia actually states, because the central initial reception facility for refugees has been established in Bochum. We demand that at least these 1.000 places are made available for refugees who have been rescued from distress at sea. We firmly reject “Ankerzentren” for the central accommodation of refugees. During their recognition procedures, refugees are to be accommodated decentralized in the cities and have to have the opportunity to take part in social life and learn the language. Sufficient places must be made available for children in day-care centers and schools. Everyone has the right to humane housing conditions. We demand that the city of Bochum finally complies with its own accommodation and care concept. It must also be the objective to accommodate all people living in Bochum in their own homes in a decentralized manner instead of narrow containers and other mass accommodation facilities. Discriminatory bureaucratic hurdles and regulations, with which the city makes private housing impossible for refugees from most countries of origin, must be abolished. We also need an offensive for affordable rents and municipal and public welfare-oriented housing, from which everyone in Bochum benefits. Families belong together and children should grow up together with their siblings and parents. The nationwide limitation of family reunion (1.000 people) means for many to be separated from their families for many years – possibly even for ever. We demand generous regulations for family reunification to prevent desperate relatives from being forced onto life-threatening escape routes. Many people flee from violent conflicts, which are also carried out with German weapons. We demand that the ban on arms exports in crisis regions should finally be enforced consistently and that arms exports should be banned as a whole. 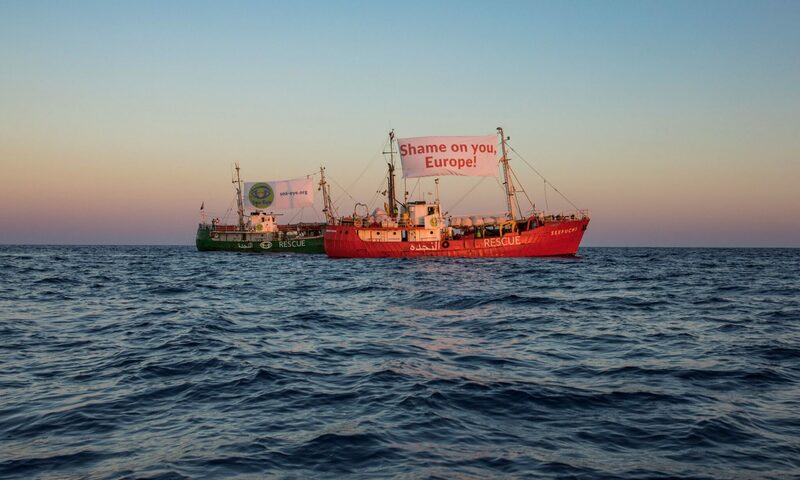 Legal and safe escape routes to Europe and Germany must be established for people who are forced to flee their countries of origin from war, climate change, environmental destruction, misery and persecution.